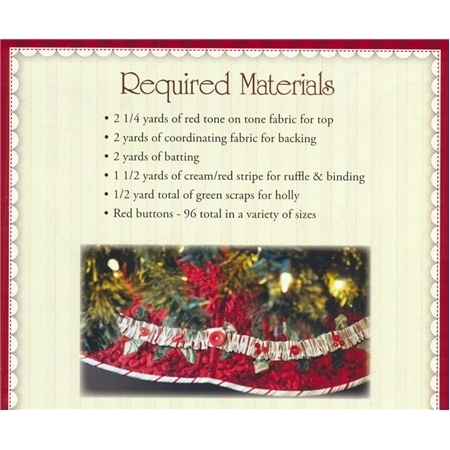 Designed by Jennifer Bosworth of Shabby Fabrics, this elegant tree skirt will add a festive finish to your Christmas tree! This tree skirt features eight fans with a slight scallop, as well as a fun ruffle and appliqued holly leaves. Finished size is approximately 45" in diameter. Designed to coordinate with our Enchanted Holiday Stocking and our Enchanted Holiday Table Runner.